If you are looking into 3 tier brewing systems, then you are serious about taking your home brewing skills to the next level. We will show why it’s a wise investment. 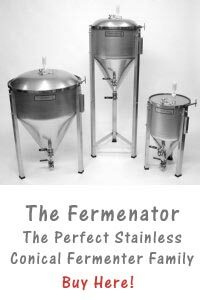 Whether you have taken the plunge into home brewing and are looking to develop your skills further, or if you are a home brewing connoisseur, you might be considering a 3 tier brewing system to enhance your homemade beer. If you are not, you probably will be after reading this article, for a couple reasons we will discuss later in the article. Three tier brewing systems, or stands, are one of the brew sculptures available. These sculptures are valuable in hosting the various brew pots which are used throughout brewing. The most significant benefit in utilizing a 3 tier brewing sculpture, or any sculpture is that it regulates the process, and allows for less time in setting up, and taking down after the brewing process. A good brewing sculpture is relatively compact, and on a wheeled base. Portability is an important trait to have, especially in a 3 tier brewing system. The benefits of a 3 tier brew system are twofold, with the first being that it’s less expensive than other methods, or sculptures. 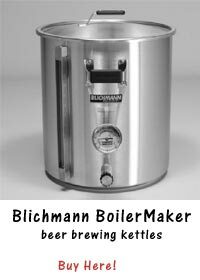 This will allow for investing the saved money into other areas to fully enhance your home brewing experience. Second, it does not require a pump, providing more portability as you don’t have to depend on electricity. Those two benefits are most likely the reason for the 3 tier brewing system’s popularity in the home brewing community. various heights, allowing for gravity to take over in draining the brew. The pot on the top level is called the hot liquor tank, or HLT. The next level down is the mash/lauter tun, or MLT. And, the lowest vessel is the boil kettle, or BK. the BK. The boil kettle can be mounted at a level that allows for gravity to drain the liquid into another vessel for the fermentation process. There are two common designs of the 3 tier brewing systems, which are a step design, and the center pole design. The step design is features the pots in a step formation. However, the center pole design provides you with a more compact footprint for mounting the brewing pots.